The jazz festival is a pleasure all round, increasingly so as it grows from year to year. Someday we may expect Phuket town’s jazz extravaganza ranked among the island’s principal draws, along with the beaches and exotic nightlife. 27 April 2016 will mark the start of Jazz Day’s fifth year, with major performances not only on Chana Charoen Rd, site of the fest since its inception in 2011 and home to Music Matter, but at a site yet to be announced. This year, the show begins on 27th April, and will include events related to the city’s new found status as a UNESCO City of Gastronomy – which in plain terms means there’s going to be some great food to go along with the music. 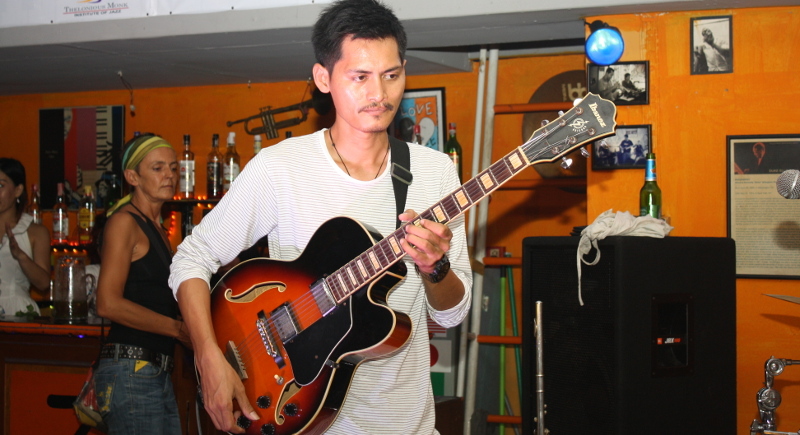 The municipal government extended a helping hand almost from the moment Kay Mongkolkaew and Jeffrey Sevilla, proprietors of Music Matter, broached the idea to Deputy Mayor Kavee Tansukhatanon. The deputy mayor is a jazz aficionado and has often helped promote the art: so the Old Phuket Festival always features a jazz band; a cycling association event at Saphan Hin earlier this year had one (Kavee is secretary of the club); and a jazz singer from Finland recently performed a gala concert at the Limelight auditorium. The rest of the city council also see the event’s value – and well they should. 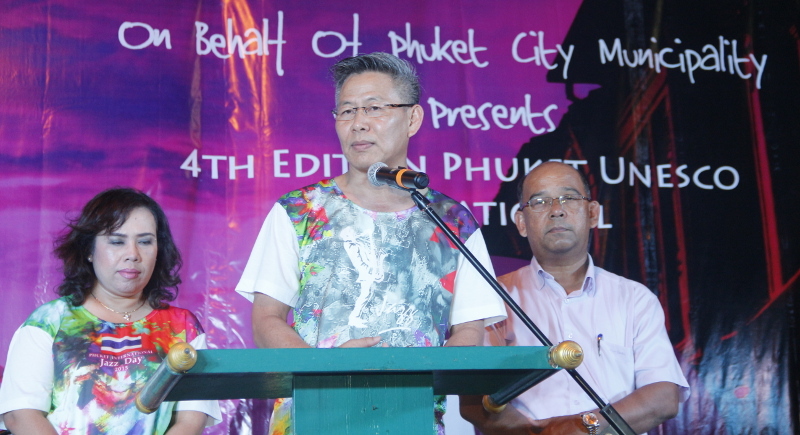 Phuket has an opportunity to make a name for itself in music, and in this regard the Jazz Day concerts are central. Phuket is the only town in Thailand to join the festival, held in 196 countries and Antarctica, every year. It’s now part of the city calendar of events. 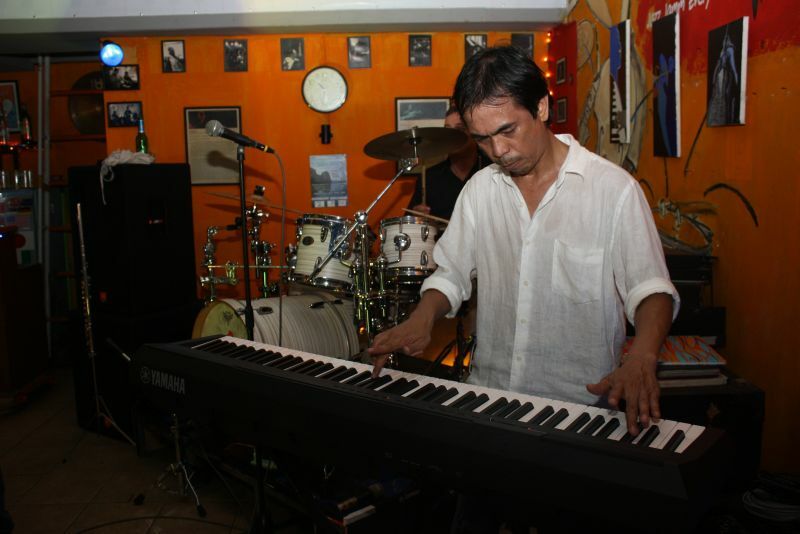 Cordeiro’s fusion-jazz rockabilly mix, the classic jazz ballads of famous Filipino saxophonist Eddie K, and the balls-out virtuosity of local hero Franco Payao’s Band. Thai listeners were all abuzz at the charming and eclectic interpretations Kay and Jeffrey brought to several of King Bhumibol’s compositions, especially their stand-out version of ‘HM Blues’. Suk band, featuring performances by himself with stand-out Thai jazz players. The king’s midnight-till-dawn jazz get-togethers are well attested. His Majesty has been a leading exponent of the art since 1942, so it is appropriate Thailand should be one of the world’s centres for celebrating International Jazz Day – and where better to do it than Phuket? This year Jeffrey Sevilla, the organiser, plans to spread the event over four days, 27 - 30 April. The 27th is a Wednesday and every Wednesday sees a jazz jam at Music Matter – which this year will kick off the festival. The following day will feature a jazz workshop, tentatively scheduled for Satree Phuket School. On Friday evening (Apr 29) a monster music and gastronomic food festival will be held, and on Saturday (Apr 30) the culminating event – the Jazz Street Festival – will take place on Chana Charoen Rd in Phuket Town. 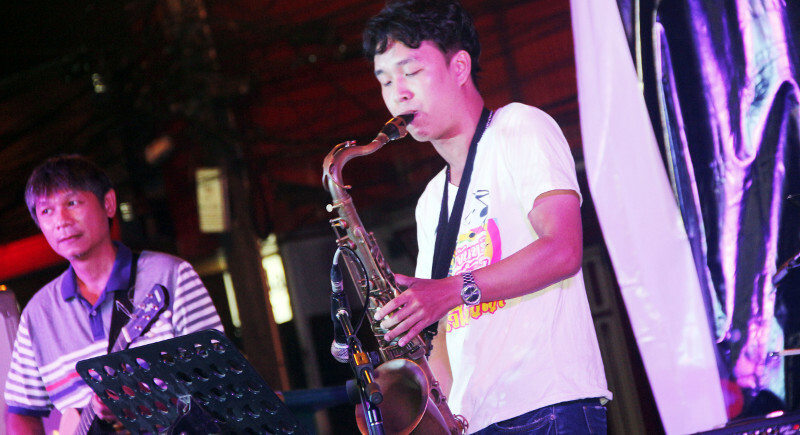 Bands are flying in from Chiang Mai, Bangkok, the Philippines and England; and, as usual, the cream of Phuket’s jazz players – a highly international array – will also perform. In addition to music and food, the event is a showcase for pictorial and performance art, and handicrafts of all sorts.